The National Company Law Tribunal (NCLT), after hearing the government’s petition, has approved the takeover of the board of Infrastructure Leasing and Financial Services (IL&FS). It has approved the appointment of a set of government nominees. The new board would comprise GC Chaturvedi, who was recently appointed chairman of ICICI Bank, former SEBI (Securities and Exchange Board of India) chairman GN Bajpai, and retired bureaucrats Vineet Nayyar, Malini Shankar and Nand Kishore, former Deputy Comptroller and Auditor General. It appears that Uday Kotak, executive vice-chairman and managing director of Kotak Bank, who would be the chairman of the new IL&FS board. However, it is not clear if this decision and the choice of nominees—who are either running competing organisations in the financial sector or are retired bureaucrats—is really the answer to IL&FS’s problems. The new board members will need to consider a forensic audit of accounts and sift through details of hundreds of subsidiary and associate companies to understand the true state of affairs. This would have been better done by putting an independent-minded person in charge with an expert team to assist him. Sources say that the new board will probably appoint numerous consultants and accountants to get an understanding of the true financial state of the IL&FS group. Meanwhile, a lot has to be done at each subsidiary company, including a clean-up of their boards as well. Hopefully, the boards of the subsidiaries will offer their resignations after today’s decision. Some sources are also asking for lookout notices against key members of the erstwhile IL&FS management to ensure that they remain in the country for further hearings. The new board will be expected to hold a board meeting by 8th October and is expected to prepare a roadmap to NCLT by the next hearing. It further said that suspended board members shall no longer represent IL&FS in any case before the NCLT. The next hearing will be on 31st October. Here is the press release issued by the government announcing the change of IL&FS board. IL&FS, incorporated in 1987, is a large Systemically Important Non-Deposit Accepting Core Investment Company (CIC-ND-SI). It has numerous infrastructure assets and has played a major role in infrastructure development and financing in the country. It has 169 group companies, as in 2017-2018, including subsidiaries, joint venture companies and associate entities. 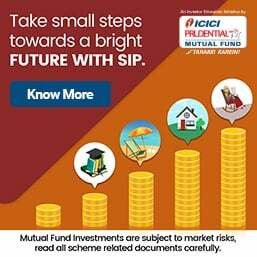 A series of defaults by IL&FS Group companies in August and September, 2018 on term-deposits, short-term deposits, inter-corporate deposits, commercial paper and non-convertible debentures and the rating downgrades in some and default on some other financial instruments has resulted into massive effect in the financial markets causing redemption pressure on the mutual funds, which held such financial instruments and has also adversely impacted the sentiments on the stock markets, money markets and debt markets. The redemption pressure on mutual funds has created a large systemic risk leading to quality papers being sold at steep discounts to meet the redemption demand. The debt market shocks got transferred to the equity market sparking sell off particularly in NBFC stocks and sectors linked with NBFC financing. IL&FS Group, as per their latest Balance Sheet has infrastructure and financial assets exceeding Rs 115000 crore is presently facing tremendous debt pressure and struggling to service around Rs. 91000 crore in debt which is the outcome of its mismanaged borrowings in the past. The financial mismanagement of the IL&FS is apparent from its rapid debt built up and misrepresentation of true state of financial fragility, which is being reflected in unprecedented rating downgrade from highly rated to a default category. Considering the capital base of the Group, the leverage is very high. The IL&FS Group is involved in many infrastructure projects including through equity and debt financing. Any impairment in its ability to finance and support the infrastructure projects would be quite damaging to the overall infrastructure sector, financial markets and the economy, considering its systemically important nature. The Government stands fully committed to ensure that needed liquidity is arranged for the IL& FS from the financial system so that no more defaults take place and the infrastructure projects are implemented smoothly. The IL&FS Group, especially its subsidiary companies, IL&FS Engineering and Construction Company Limited (IL&FS Engineering) and IL&FS Transportation Networks Ltd. had got into major problems beginning 2012. This led to massive delays in execution of projects and a number of projects had become stalled infrastructure projects even before 2014. This affected their financial performance and significantly increased the leveraging as delayed projects were kept afloat by more and more debt financing. IL&FS Engineering had a series of losses beginning 2011-12 and minimal profit started after 2015-16. IL&FS Transportation Network Ltd. witnessed significant erosion of profit starting from 2012-13 and the net debt also increased more than two times from Rs. 13939 crore to Rs. 29961 crore in 2017-18. Deterioration in the financial performance and substantial leveraging of the IL&FS Group started many years ago on account of stalled projects in infrastructure sector largely owing to wrong decisions and policy paralysis before 2014. The restoration of confidence of the money, debt and capital markets, the banks and financial institutions in the credibility and financial solvency of the IL&FS Group is of utmost importance for the financial stability of capital and financial markets. There is an emergent need to immediately stop further financial defaults and also take measures to resolve defaulted dues to the claimants. This would require a combination of measures of asset sales, restructuring of some liabilities and fresh infusion of funds by the investors and lenders. The confidence of the financial market in the credibility of the IL& FS management and the company needs to be restored. There appears to be significant liquidity gap in the Company as estimated liabilities might not have any corresponding revenues / capital flows presently. In the circumstances, replacement of the existing management by the new management appeared to be most necessary and immediately required to be done for restoring that confidence and to avoid any suboptimal liquidation of assets. The Government, after analysing the emerging situation of the IL&FS Group come to the conclusion that the governance and management change in IL&FS Group is very necessary for saving the Group from financial collapse, which required an immediate change in the existing Board and management and appointment of a new management. Continuance of the present Board had become prejudicial to the interests of the company and its members and this management was affecting public interest because of its adverse impact on financial stability and making capital markets so adversely affected. Therefore, the National Company Law Tribunal (NCLT) was approached today by the Government under section 241 read with 242 of the Companies Act, 2013 to order supersession of the present Board of Directors of the IL&FS and its substitution by the new Board of Directors. The Government was compelled to take this extraordinary step under section 241(2) of the Companies Act, 2013 to apply to the Tribunal for an order to prevent further mismanagement in order to protect public interest. The decision to supersede the existing board was taken after careful consideration of a report received from the Regional Director, Mumbai under the Ministry of Corporate, Affairs which clearly brought out serious corporate related deficiencies in the IL&FS holding company and its subsidiaries. It was noted that the consolidated financial statement of IL&FS holding company and its subsidiaries, associates and joint ventures projected a picture through highly exaggerated depiction of non-current assets in the form of intangible assets amounting to over Rs. 20,000 crores. Besides, bulk of revenue was in the form of receivables, around 50%, which was locked up in litigation and arbitration. Added to this, there has been a sharp increase in bank deposits held in lien, which rose by Rs. 1,681.59 crores in FY 2017-18. Overall, the company has negative cash flows from operations. Further the net outflow was Rs. 7,020 crores in 2017-18. From August 2018 the company has been making repeated defaults. It has been noted that there is deep-rooted mismatch in the debt-equity ratio because of excessive leveraging, which has put a question mark in its ability to continue as a going concern if allowed to continue in the hands of the present management. The high debt stress was clearly visible in the company and its main subsidiaries for the last so many years, but was camouflaged by misrepresentation of facts. Besides, the fact that the company continued to pay dividends and huge managerial pay-outs regardless of looming liquidity crisis shows that the management had lost total credibility. There have also been serious complaints on some of the companies for which an SFIO investigation has been ordered into the affairs of IL&FS and its subsidiaries. The supersession of the existing Board and its replacement by a new Board of IL&FS is the necessary first step towards restoring the confidence of the financial market in the IL&FS Group. The Government is aware of the need to supplement this with several other measures which are required to be taken. Restoration of confidence of the financial market and to ensure solvency and orderly sale of the assets of the IL&FS Group would, inter alia, require time-bound sale of assets and realisation of receivables, fresh capital infusion, restructuring of business and ensuring continued access of the IL&FS Group to the financial market to meet its present and future financing needs. The Government is committed to ensuring the financial solvency of the IL&FS Group with a view to maintaining the financial stability in the country. Towards this end, the Government is committed to ensure that ILFS Group receive much needed temporary liquidity support. It is hoped that financial institutions would be supportive for providing urgent liquidity. The Government would also take all necessary steps to ensure that the infrastructure and other productive sectors of the economy continue to get financial resources to maintain the growth momentum of the Indian Economy, the fastest growing economies in the world. India a perinially ill on the ventilator support India? If you appoint a Board with only babus, all that will happen is that the rot will be swept under the carpet. Nobody will be held accountable, nobody jailed. Even the credit rating agencies who were snoring away and woke up only after the default deserve harsh punishment, doubt that. The Govt itself owed ILFS money, who has been taken to task for that ? Finally the Govt has acted. Certainly it was prompted by UTI and Satyam episodes. The action today was easier and less controversial due to precedent set by Satyam ( happened under UPA ,2009 ) . The media has played a sterling role. It was led by Moneylife Team. Well done. Now also we need media to follow up relentlessly till the issue is solved satisfactorily like Satyam. Just now we read that the balance sheet was inflated showing in an intangible asset of Rs 20,000 cr !!!! Smell of Vijay Mallya ghotala ? This may just be the tip of the iceberg. Quite honestly some former board members need to be sent to jail. Ramalinga Raju was. The current one is much much bigger. The Indian government has finally decided to intervene in the Infrastructure Leasing & Financial Services Ltd (IL&FS) issue by moving to the National Company Law Tribunal (NCLT) for changing management at debt-ridden conglomerate, says media report. R report from CNBC-TV18 says, the government has proposed to dissolve entire board of IL&FS and appoint 10 new directors with Uday Kotak as its non-executive chairman. Quoting sources, the report, says, "Foreign shareholders are hesitant in putting more money unless there is a change in the management. Domestic shareholders have also expressed their concerns in lending to the same management at the helm and the government is looking to supersede the IL&FS board." Sources from the company told the news channel that IL&FS will support and co-operate with the government and the NCLT application will help the company in an early resolution of its pending issues. Moneylife’s editor Debashis Basu, in his column in the Business Standard has expressed the need for a three-point surgical strike in the IL&FS scam. This includes, immediately getting a new leadership, start selling assets through competitive bids and dismantling IL&FS, he wrote. When will see a surgical strike on financial scams? Tinkering is not an option in a shadowy hydra headed organisation with Rs1.2 lakh crore of debt. 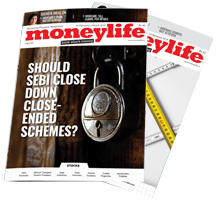 Last month, Moneylife had pointed out the need to sack incumbent board at IL&FS. "Equity infusion by shareholders is unlikely to be enough to address the problem it faces. The Reserve Bank of India (RBI), which classifies IL&FS as a systemically important non-banking finance company, has ordered a special audit, only after it began to default. RBI is the banking regulator and IL&FS is designated a systemically important finance company. Yet, we are told that it ‘declined to take corrective measures’. This was followed by other defaults and a series of credit downgrades by rating agencies. The group debt is currently estimated at Rs1.2 lakh crore and what we have seen so far are tiny ineffectual steps by the board. It is nowhere up to the task of resolving a giant problem that is, once again, likely to need a bailout by the public through the exchequer. When there is a political will things move at supersonic speed. Having digested hard earned capital of common people now Govt. is giving slap in the wrist for Ex Management, Ex Board, Credit rating agencies, Politicians and Bureaucrats hands in glove, Banksters etc. This is implicit guarantee given by the Govt. Gainers: Japanese heavy equipment manufacturers, Abu Dhabi, Banksters and Politicians/Bureaucracy. Losers: As usual, Retirees, Insurance policy holders, Pension Funds, Bank Depositors, poor people who have been denied inflation beating returns (reserved for the rich and FIIs). Truly banana republic. Not a day passes without startling new information about Infrastructure Leasing & Financial Services that exposes how every regulatory organisation has failed the Indian people all over again, by sleeping on its job or failing to use the powers statutorily available to it. RBI’s inspection report pointed out “that the net-owned funds of the finance company had been wiped out and that it was over-leveraged.” Yet, says the paper, the IL&FS top management ‘declined to take corrective measures’. RBI is the banking regulator and IL&FS is designated a systemically important finance company. Yet, we are told that it ‘declined to take corrective measures’. The word ‘declined’ smacks of defiance and is actually borne out by publicly available information. In fact, one can pinpoint exactly when RBI would have pulled up the IL&FS board. The 2015 IL&FS annual report says a “contingency provision of Rs1,170 million has been created for the year ended March 31, 2015 in addition to the regulatory provision required by RBI.” This suggests that RBI’s inspection had already raised some questions and IL&FS pretended to take cognisance. The report, signed by Ravi Parthasarathy, does not say at what level these were ‘remediated’—was the audit committee or the board told about it? So wasn’t it all a lie? This is all the more significant, because Business Standard has this to say on 27th September: “the management has told shareholders that IL&FS was discussing its liquidity crisis with the Centre and the RBI for a long time, much before the crisis came to public light. The company was also assured that it would get support should there be a crisis.” Ironically, this explosive information is tucked away at the end of a report titled “Repeat of 2008 measures to revive IL&FS unlikely”. If this is correct, then officials of RBI and the finance ministry who helped hide the problem from the public and, in turn, lured mutual funds and others to invest, must be identified and held culpable. In fact, the government continues to fool the people and mislead the market causing needless turmoil and panic. Clearly, IL&FS didn’t take RBI’s warnings seriously. But the bigger question is: What did the central bank do about it? Did it summon the chairman Ravi Parthasarathy who stepped down only this July after the IL&FS group was already on the verge of its first default? IFIN had paid a 50% dividend for all three years—FY14-15, FY15-16 and FY16-17—when RBI’s inspection report had apparently said that its net-owned funds were wiped out. Couldn’t RBI have objected to it? We know that RBI’s inspection reports are discussed by at the level of the deputy governor RBI with the board of IL&FS. In IFIN’s case, the audit committee in the relevant period included Shubbalakshmi Panse and Surinder Singh Kohli. Ms Panse was the former chairman and managing director (CMD) of Allahabad Bank who has been hand-picked by the government for the re-constituted Bank Board Bureau. So we know what to expect from it. Mr Kohli, is the former CMD of Punjab National Bank. Both, Ms Panse and Mr Kohli, with other directors, quickly resigned along with the managing director and CEO Ramesh C Bawa. Neither the government nor RBI has made any attempt, so far, to question Mr Bawa or the board that has deserted the sinking ship. Were they aware of RBI’s inspection report? Did Mr Parthasarathy and his core management team hide it from the audit committee and the board? If yes, this raises a new set of questions. RBI did not even stop the management of this private fief, masquerading as a government-owned organisation, enriching themselves while running the company down. According to a media report, even when the company was on the verge of a default, the entire top management team was given a massive pay hike on top of their already lavish salaries and perks. And who headed the remuneration committee? None other than SB Mathur who has been rewarded by handing him the chairmanship of the IL&FS parent company. Mr Mathur was also the director and chairman of scam-riddled National Stock Exchange (NSE) for various periods. Consider the multiple levels at which we are being fooled by a private group that has always projected itself as a public sector entity. RBI is still not asking tough questions. As I write this column, we have reports that RBI has cancelled its meeting with the shareholders of IL&FS scheduled for Friday 28th September until they come up with a roadmap for the future. Role of the Board: Whether or not IL&FS as a group is bailed out, it is clear that the 40-odd banks, mutual funds and other entities that invested in its projects or financial papers will take a hit. Several companies have already approached the NCLT (National Company Law Tribunal) and there is talk about criminal cases being filed. In the circumstances, the public has a right to know what role, if any, the board played and how will the board members be made accountable? We need a separate investigation into the role of Ramesh C Bawa who has been allowed to resign along with the entire board of IFIN on 21st September. Their responsibility or culpability cannot end with a resignation, especially when Mr Bawa’s activities have, apparently, been the subject of a whistleblower’s letter. Remove the New Chairman: The financial sector cannot possibly have any confidence in a salvage operation headed by SB Mathur. Mr Mathur has been on the boards of two discredited entities—the NSE and IL&FS. There must be a way for people to weigh in on this and express their lack of confidence in the decision by shareholders to appoint him as chairman. Life Insurance Corporation (LIC) may be the biggest shareholder of IL&FS, but it is playing with public’s savings and we need to ensure they are not misused. Cabal in Control: Now that it is clear that IL&FS and its group entities have been concealing RBI’s concerns and financial mess for almost three years, it is imperative that the same cabal around founder Ravi Parthasarathy cannot remain in charge. In a letter to shareholders, vice-chairman Hari Sankaran wrote that IL&FS has set up a group management board that includes him, Arun Saha, Vibhav Kapoor. All three are close buddies of Mr Parthasarathy and have played a big role in creating the massive financial mess and a crazily complex conglomerate comprising 24 direct subsidiaries, 135 indirect subsidiaries and four associate companies under an unlisted parent company with virtually no oversight. IL&FS’s debt is a staggering Rs1.2 lakh crore and its annual report lists 40 top Indian and foreign banks as its bankers, apart from all those who purchased its financial papers of different maturities. If RBI has issues with Rana Kapoor of Yes Bank and Shikha Sharma of Axis Bank, having refused them another term, how is it okay with SB Mathur, Hari Sankaran, Arun Saha and Vibhav Kapoor presiding over the sinking IL&FS even today? Clean Audits: RBI and the Institute of Chartered Accountants of India need to be questioned about how and why Deloitte Haskin & Sells LLP failed to flag problems with IFIN that were caught by RBI’s inspection. Deloitte has given IFIN a clean chit in all three years. A fact that finds specific mention in the IFIN annual report. If there is one lesson that the Indian government has drawn from the failure of Lehman Brothers a decade ago, it is that no banker has been punished and no government official is responsible even for a financial disaster of epic proportions. Every action, so far, in the handling of IL&FS shows this learning at work. Very incisive and very saddening! Sucheta has not only pointed out massive non-compliances bordering on massive criminality, but also suggested proper way forward. But alas, sane voices fall on deaf years in this country because every entity wants to save its back because of all round failure. The banks failed to evaluate IL&FS and its projects, the RBI has also failed - notwithstanding the noise it made, it obviously never comprehended full picture. The result is that the same IL&FS coterie misrepresented and looted money continues in the saddle with hapless public nationalising the loot through pliable LIC. Trouble is that this lease of life will only delay and further impair recoveries of the bank's. But who cares? Whose money is it anyway? Good article . If Reserve bank of India puts any remark ( specially non conformance to set financial guide lines on any of NBFC companies , It should be put on NSE site. This will guide the public in general to take precautionary measure at least by individuals. RBI should have cautioned the public in general well in advance when the signal was "orange"
Ravi Parthasarathi, do we remember in Mahabharata, Krishna who is the sarathi to Arjuna alerts Arjuna to get down first after the war is over, and then Krishna gets down. The chariot gets burnt saving both. Likewise ILFS Ravi Parthasarathi got down from ILFS ship before its final meltdown. For every episode, we have lessons from the history. As for responsibilities and accountability at various levels, less said the better. There are a number of cases in the recent past (PNB, Vijay Mallya, etc.,). The proverbial public memory being short, none gets punishment. Everything is consigned to dustbin including various committee reports, findings etc. Every where there is a couruption after Independence nd people's of India cheated by govt, govt office nd their officer as well their regulatory officer. Completely slaviness in our own people. Very much pain to know about IL&FS scandal. Shame. I think, I had mentioned earlier also. This article silent about the criminal role of the credit rating agencies which downgraded the debt papers to default grade, only a couple of days before the due date. Even a novice in finance should have examined and assessed the maturing debt obligations and confirmed cash flows in place before giving such ratings. Further, it appears the credit rating agency had not taken high leverage and low NOF of all the entities put together. Who is to punish these rating agencies? First line of responsibility is he managment at IL&FS, then come the rating agencies, then the banks and finally RBI. All have a hand in this. I am willling to bet even Parthasarathy would also have enjoyed political patronage. All points in the scam covered in an excellent fashion. Government and Regulator needs to take action.